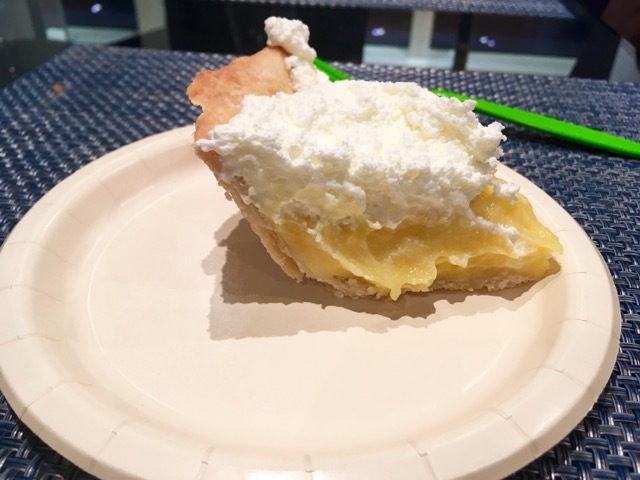 Lemon Curd Pie | And Such Small Portions! It’s a somber moment when I think about those fictional crickets, warning their barnyard pals that nothing gold can stay. But thankfully, I also know a way to capture the flavor of sunlight, using a fruit that’s happily in season all year round, thanks to the wonders of modern food science. Eating it will take care of your scurvy, too! 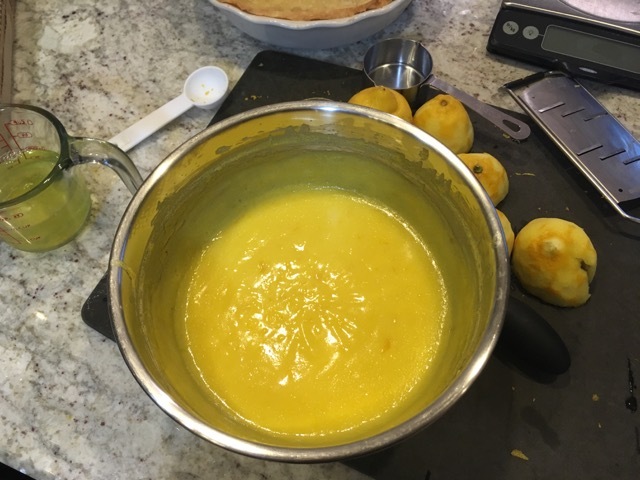 What can’t a lemon curd pie do? Well, okay; it can’t photograph well, at least if you’re me and you still haven’t perfected the art of neat, Instagram-perfect slicing. But this guy, a close cousin of our old friend key lime pie, is sort of the perfect meal-ender: tart and creamy and bright, like afternoon light distilled into a dessert. I’d eat it all the time, but it seems especially appropriate now, when the days are getting shorter and our meals are getting heavier. I’m tucking my sandals away and resigning myself to the fact that the tomato plants in our yard probably won’t yield any more fruit—but pie season, thankfully, is only just beginning. Cover and chill thoroughly. When ready to serve, pour custard over pie shell, top with whipped cream. 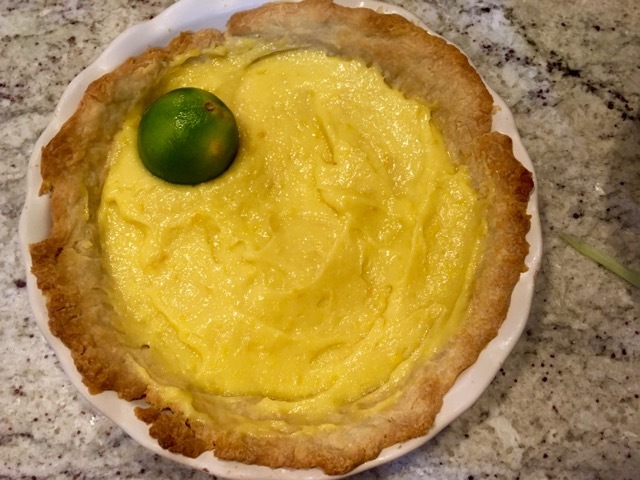 The Verdict: Though I was worried that the pie would be a gloopy mess when I went to slice it—especially since the lime I accidentally dropped into it hardly left a dent when I fished it out—it ended up slicing surprisingly cleanly, probably because it was pretty cold when served. 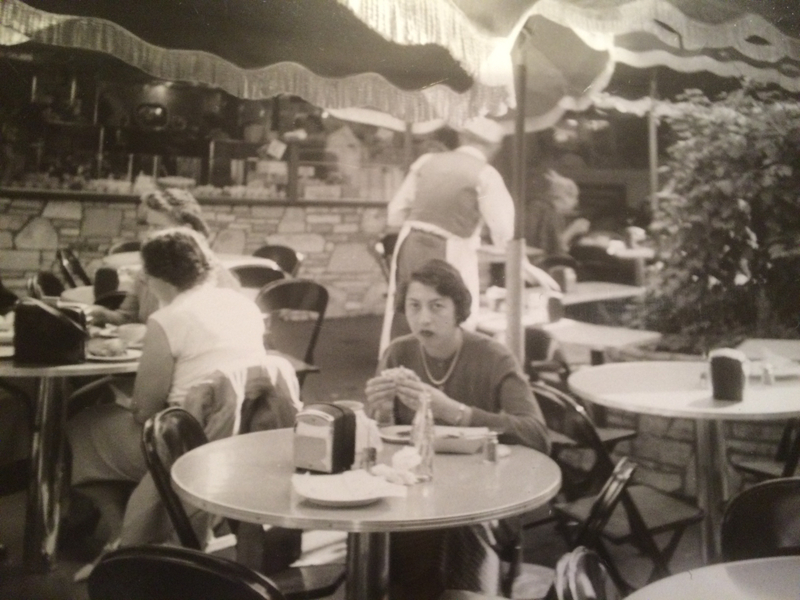 That means this wouldn’t work well as the show-stopping conclusion for, say, an actual summer picnic—but if you’re eating indoors and simply trying to capture the feeling of summer, you’ll get the final look you want. 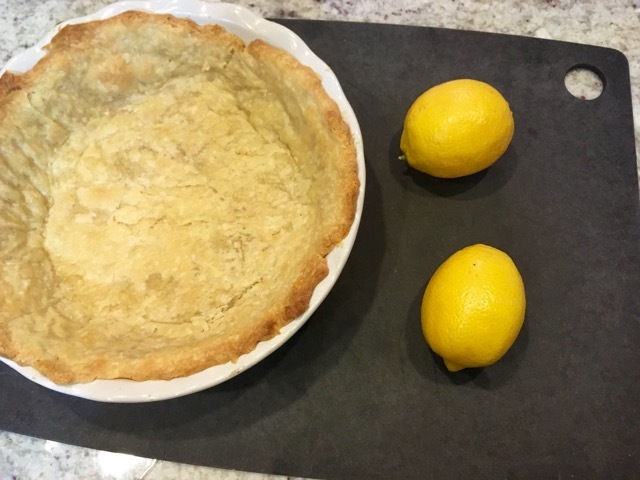 I think this would be good with a graham cracker crust, or even one made of saltines, as in this alternative lemon pie I’ve been dying to test out. I think it’d be great with a towering cap of meringue, a la its limey cousin; making it means being left with a pile of extra egg whites, after all, so you may as well put them to good use. But as written, the recipe is already just about perfect—rich, dense, and utterly satisfying. Take a bite—then feel free to stick it to Charlotte‘s gloomy crickets.